Are government workers servants or syphons of prosperity? These are two, separate questions, and as provocative as they are, they tend to conflate in the hands of traditional, market-driven advocates who are convinced that small government – in the absence of no government, at all – represents the best of all possible worlds. Almost no one, these days, talks about efficient government, a notion that once held a place of prominence in the thinking rooms and chat parlors of the early 1960s across North America – and, of course, never again. “In all four Atlantic provinces, the public sector workforce is significantly larger, relative to population, than the national average,” writes Ben Eisen, director of research, and Shaun Fantauzzo, policy analyst, at AIMS, in a recent commentrary. To which an unaligned observer might wonder: So what? Don’t these folks who work on the public dime also pay taxes, buy houses, enroll their kids in day-care programs, contribute to charities, underwrite the cost of their children’s university educations? Are they not, in so many regards, just like the rest of us? It’s not the salaries and benefits they earn, or even their numbers, that should concern us. It’s what they do with their time in the course of their daily duties. And that has everything to do with the frigid, disingenuous corporate culture they endure and to which they are too often inured. Now, we perceive in New Brunswick a wholly cynical move to buy public approval by curtailing the legal bargaining powers of unions that represent civil servants. Should we not wheel this issue back to the central discussion where it belongs? 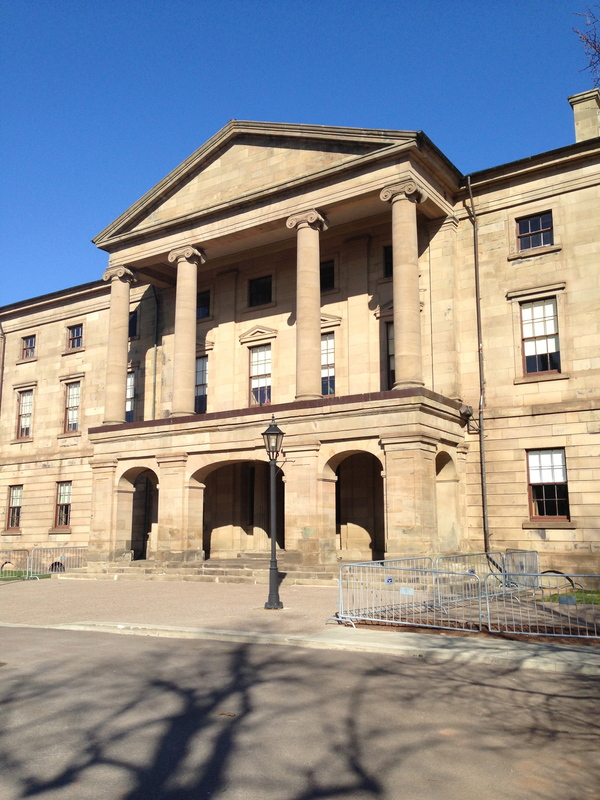 Which civil servants in Atlantic Canada earn too much money for what they do? Which ones arrive at the public trough with little or nothing to show for their slight effort to make an appearance? The issue is not, ultimately, about big government versus small government. It’s only about good government. The issue is what do you get for what you pay. The issue with government and employees is that there are no performance metrics so there is a big tendency to punch the clock attitude. The ministers change and these people succumb to their powers to protect their jobs and future. Some deputy ministers make $150,000 plus……not many competitive jobs in NB pay that kind of money. I would have no issue paying if there was some kind of performance. I live in Calgary, we pay our politicians well but expect performance!!! Nenshi is great, Look at Prentice…. This leadership quality is reflected in the civil servants. Get the job done attitude. I have experienced very bad (ministerial level) politics and civil servant attitude in my business dealing with NB. I would never invest capital in that province again. Its a broken system in the maritimes but so are the people…its a sad state of affairs.